Portfolio for Jira lets you add Jira users as team members. You can also use virtual users as placeholders to play with what-if scenarios, such as when you're adding a new hire to your team. In your plan, you can create new teams, choose the scheduling method for these teams, and assigning tasks to these teams as well. 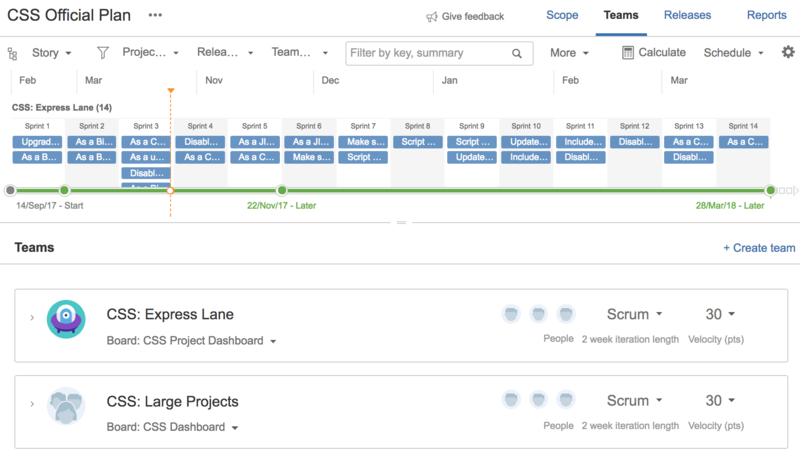 Teams can be plan-specific or shared across plans. Creating private teams also let you play around with what-if scenarios for plans that aren't formally established yet. Check out some demo videos here.